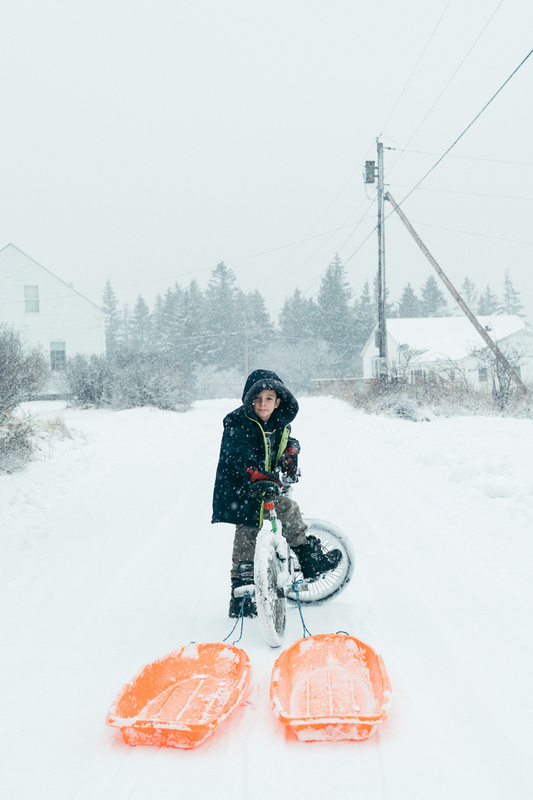 Dale Libby, 8, stops for a portrait after school as he and his brother, Hayden Libby (not pictured), 10, bike through the falling snow on Matinicus on Wednesday, Jan. 17, 2018. The brothers are the only, year-round children on the island. Matinicus is Maine's most remote, populated island roughly 20 miles off the coast. During the mid 1800s, more than 300 people lived on Matinicus. Now the island has 15 year-round residents, with fishing being the primary economy. The population swells in the warm, summer months with tourists and seasonal residents. But winter often means quiet, solitary days on the island.